Series one is here. 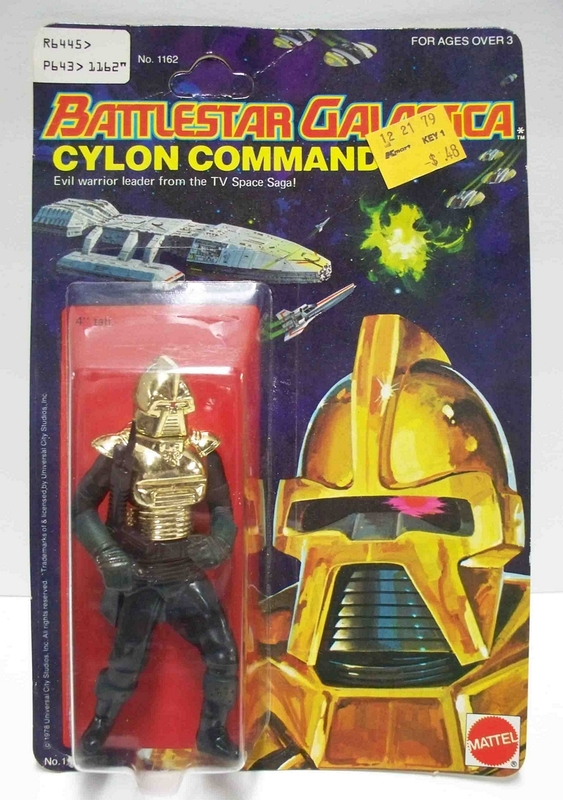 The “gold-colored” Cylon Commander was also offered via mail-away with four proof of purchase seals. 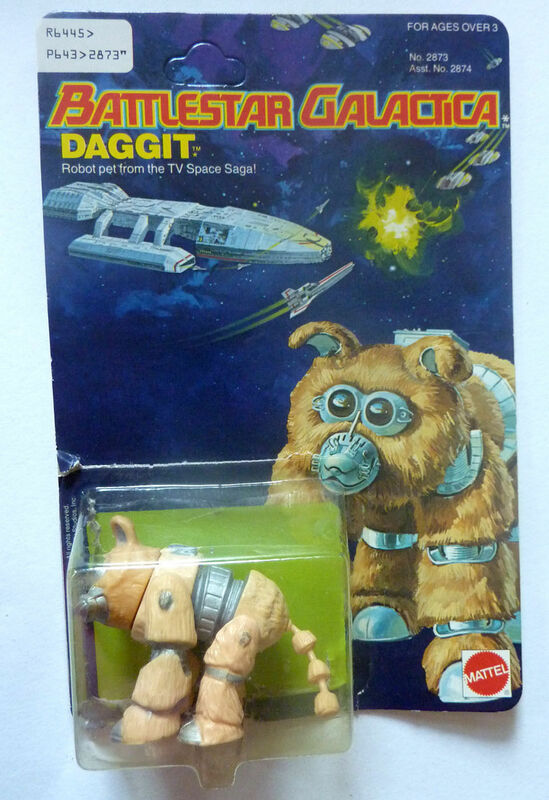 The Daggit in series two is tan; the original is brown. 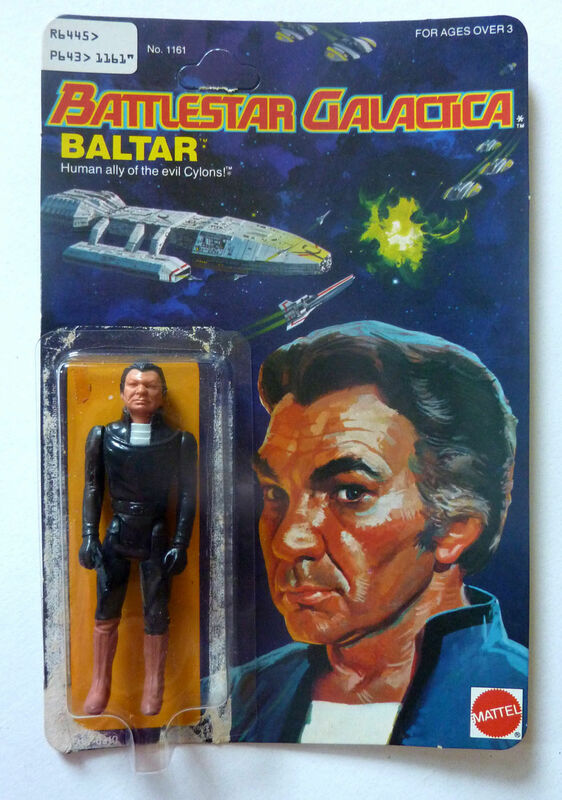 See Battlestar Galactica Memorabilia, a comprehensive collectors site, for all the details. I never noticed before, but there wasn’t an Apollo in the line. 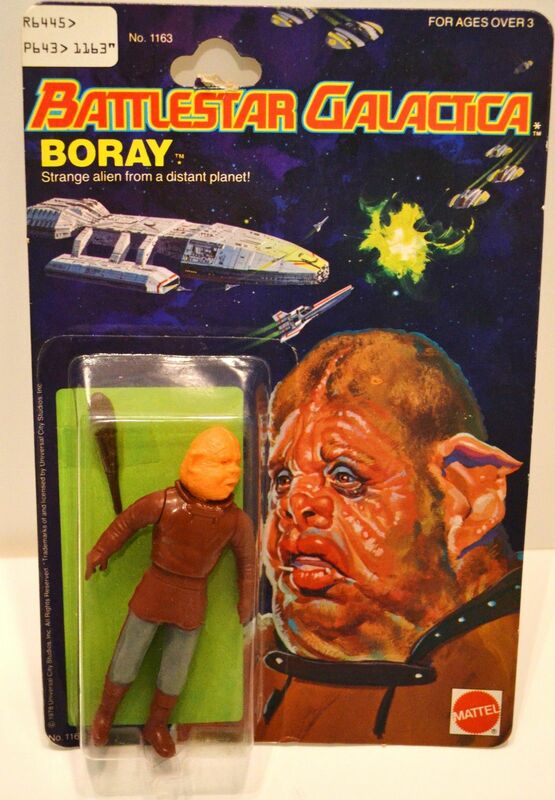 Did he ever get an action figure? I had an Ovion, a Starbuck, and a Daggit. I loved my Viper but never got a Raider, which is still one of my favorite fighters. 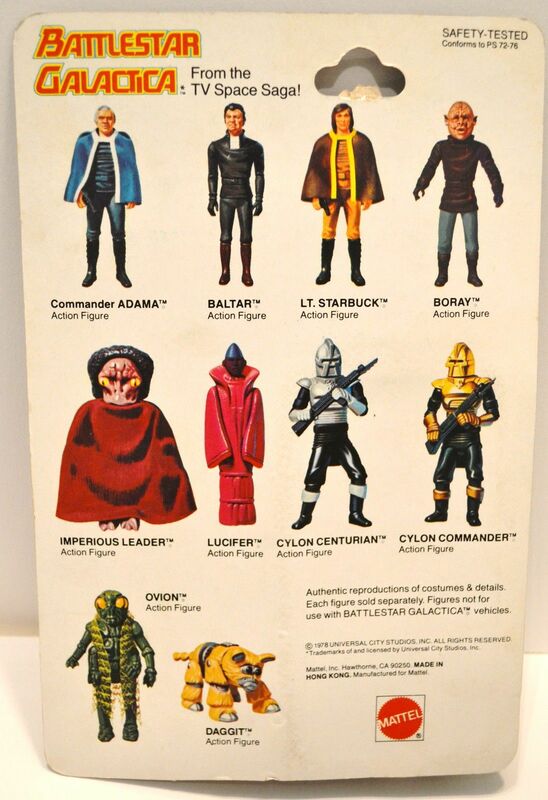 The BSG toys were rushed out in time for Christmas, 1978. The lawsuits (at least two, but almost surely more) began in early 1979. 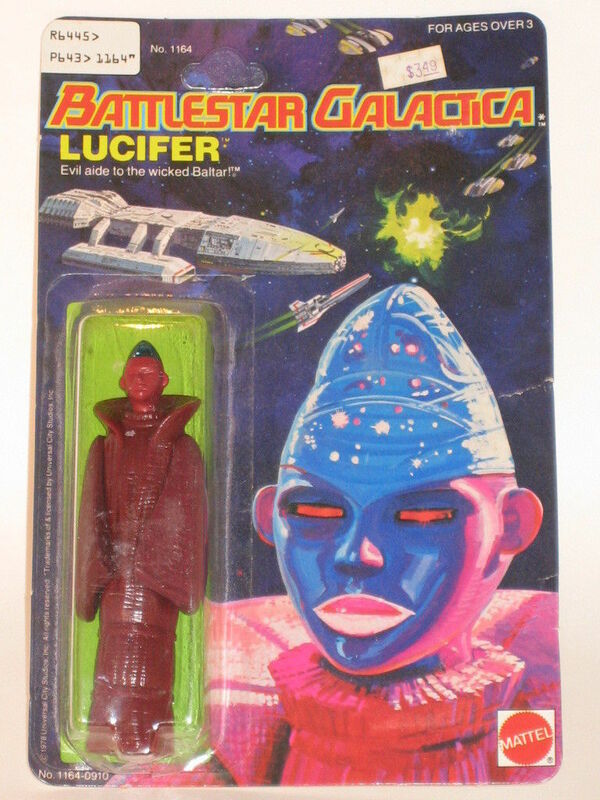 A friend of mine gave me the Lucifer and Boray figures when he decided he didn’t want them anymore (around 1979 or 1980) and I still have them. The Boray was without his club and to this day I’ve not found an affordable replacement.